The Federation is managed by an Executive Committee which is elected for a one year term. The Executive comprises five Office Bearer's: President, Vice-President, Secretary, Treasurer and Past-President. In addition there are 19 executive members, one from each Regional Council. Pancha was born in Malaysia and has now lived in New Zealand for 31 years. As a professional I am a management consultant. I am passionate about achieving settlement outcomes for migrants that would be much better than what I received when I first arrived in 1986 in New Zealand. I have been a member of the Multicultural Councils since 1992. Ravindran is a senior level manager in Sales and Marketing, Operations, Management & Production. He is a White Ribbon Ambassador and has been serving the Multicultural Council of Wellington as a Vice President since 2010. He has organized various multicultural festivals in Wellington, a highlight being his participation in the Festival of Carnival as part of Rugby World Cup. He was nominated as the Festival Coordinator for the Multicultural Concert “Treasuring Diversity.” Ravindran has organized 30 successful Tamil cultural events in Mauritius. Meggy Bartlett-McBride is the President of Southland Multicultural Council as well as the Secretary of Multicultural New Zealand. Meggy comes from the Philippines and arrived in NZ in 2005. Meggy has 3 children, one daughter, and 2 sons. Meggy is a registered beauty therapist by profession and currently operates a home clinic studio at her house. Meggy has the interest and passion with the wider sector of helping migrants here in Southland, New Zealand. In December last year, Meggy received a Kiwibank Local Hero in Southland Award along with 10 others. Meggy also recently received the Southland Times Southlander of the Year award. 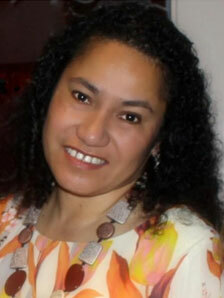 Alexis was born in Fiji and is of Chinese, German and Samoan ancestry. New Zealand has been her home for 30 years. She is the Immediate Past National President of Multicultural New Zealand and held the position for 3 years, a first for a female member of MNZ. She currently is National Treasurer. She was instrumental in the establishment of the Rotorua Pacific Islands Development Charitable Trust and the Rotorua Ethnic Council, (now Multicultural Rotorua) where she stepped down after 10 years as President and still continues volunteering. In view of the importance of what culture places on maintaining a balance between the spiritual well-being of migrants and the quality of life, she is passionate about community and that each person is readily settled into the social, educational and economic fabric of urban and rural centres’ across the district and nationally. She is a recipient of the Sir Peter Blake Leadership Award, Rotorua District Community Award, was named a Paul Harris Fellow by the Rotary Foundation of Rotary International and recently was a finalist in the Westpac Business Excellence Awards for her services to community as an avid volunteer. Alexis has worked for a number of Forestry Companies and currently now works at Fire and Emergency New Zealand, in Rotorua as Business Services Coordinator. Tayo Agunlejika is a Nigerian born New Zealand Citizen and currently the Executive Director of Multicultural New Zealand (New Zealand Federation of Multicultural Councils) a position he has held for the past three years. Prior to heading the management position; he was the National President for three years and provided leadership, vision, strategic thinking and direction for the National Board, Regional Boards, Managements, Community Organisations and members. Tayo has significant experience in community development, community engagement, relationship management, lobbying and consulting on policy and services and cultural intelligence, and have developed strong links to ethnic communities both at the grassroots and with ethnic national bodies. In 2006, Tayo initiated and established the annual Upper Hutt Multi Ethnic Soccer tournament as a platform for ethnic migrant and refugee players and families to engage and network with mainstream communities and support agencies. He now coordinates the award winning National Communities Football Cup established by New Zealand Police. He also initiated and contributed to the Noho Marae Induction Programme (Pathway to Citizenship); two nationwide community consultation workshops funded by UNESCO; 2014 Ethnic Small and Medium Enterprise Forum; the Multicultural March brand to promote nationwide Race Relations day celebration; the Labour Weekend Neighbourly Morning Tea campaign; and the youth resource kits App. Tayo Agunlejika served on the Ministry of Culture and Heritage’s Commemorating Waitangi Day Fund Panel committee, Social Service Providers Aotearoa and Upper Hutt Creative Art board. His passion to is to make contribution to New Zealand been an inclusive society where migrants and refugees are successfully integrated into the mainstream, and settled-in participating and adding value to the socioeconomic and cultural growth of New Zealand. Ling immigrated to New Zealand in 2003. She graduated from Victoria University Wellington with double majors in Money & Finance, and Econometrics. 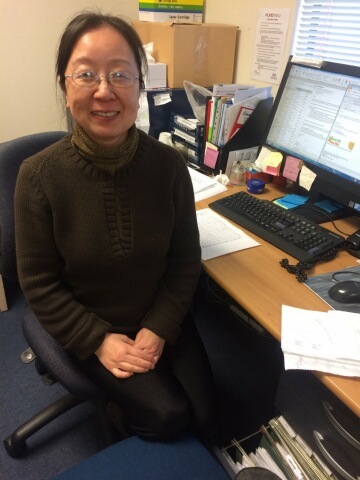 She joined the Federation in 2014 where she does the day to day accounts management. She is married, with a son. She enjoys reading and cooking. Original generation time 4.2681 seconds. Cache Loaded in: 0.0508 seconds.